Michael sits at the window, reading. Agatha takes the seat beside him. Michael glances away from his iPad and smiles. Agatha: I’m going to my granddaughter’s house for dinner. (gestures to a dish on her lap) I’m bringing the bread pudding. Michael: (mumbles without looking up) That’s nice. Agatha: My great-granddaughter Kitty will be there. Such a precious thing she is, though the clothes she wears! I don’t know what children are thinking these days. What’s that thing you’re holding? Michael: This? It’s an iPad. Agatha: (sighs) All these newfangled gadgets. Why, in my day we used to read things like newspapers and books. We wore things that covered us up and we baked our own bread pudding! Michael shrugs and stares at his iPad. Agatha: (after a few minutes) I’m going to my granddaughter’s house for dinner. Michael: (rolls eyes) And I bet you’re taking bread pudding. Agatha: How did you know? Categories: fiction, Scecond Seat on the Right | Tags: Agatha, dementia, Flash Fiction, getting old, Michael, micro fiction, reading, scene, short fiction, social interaction | Permalink. 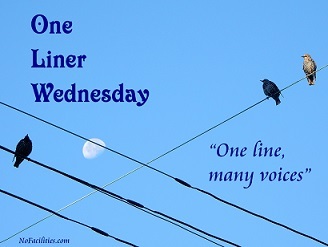 One-Liner Wednesday – A Twofer! 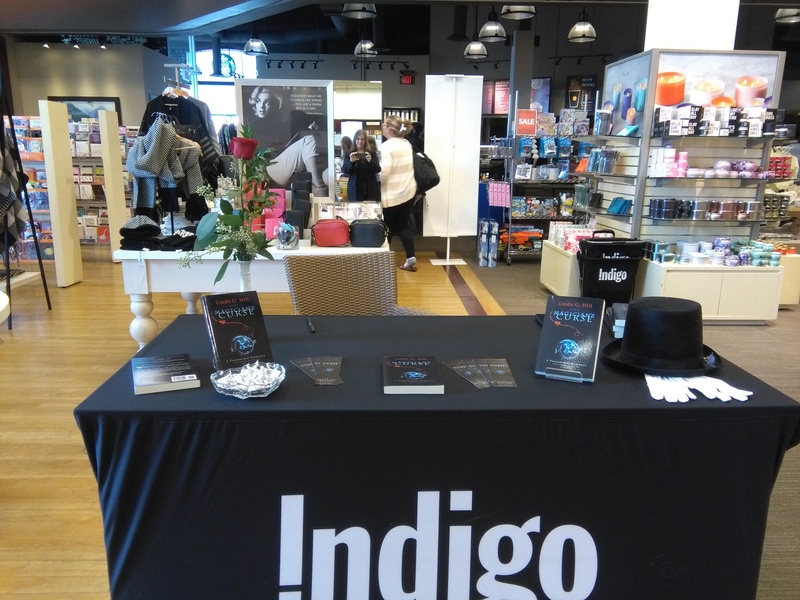 Here’s a twofer: my table at my book signing on Sunday and a selfie, all in one! 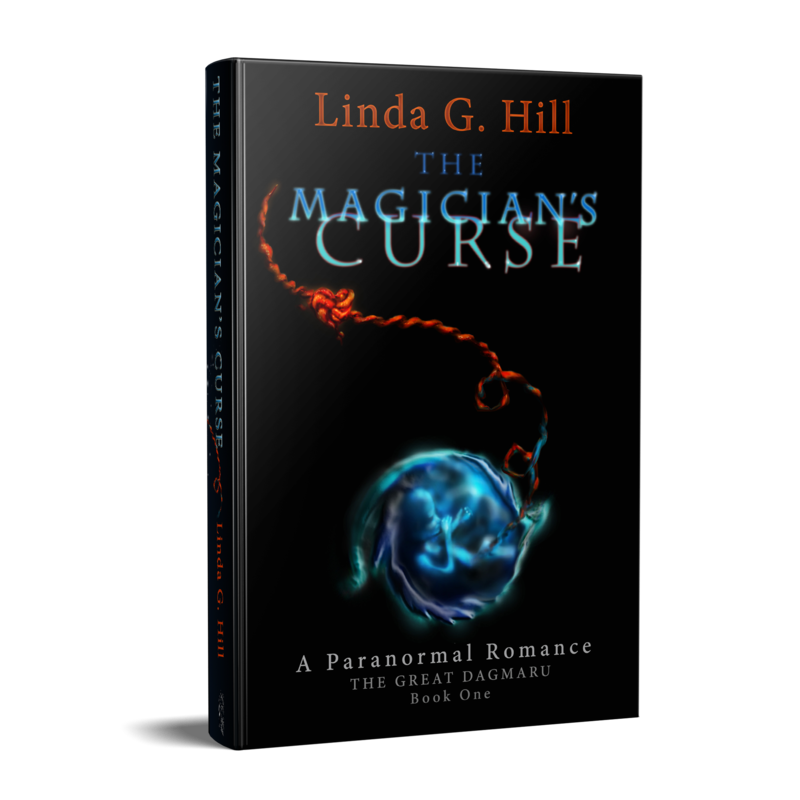 Categories: Blogging, Blogs, Life, Novel, One-Liner Wednesday, Photograph, Prompt | Tags: #1linerWeds, chapters indigo, Humor, inspiration, The Magician's Curse, WordPress, writing prompt | Permalink.